Beautiful Amaline Vitale Custom made Gown. Lace detailing on the top, full skirt with hidden hip pockets which adds a fun (and practical) twist. 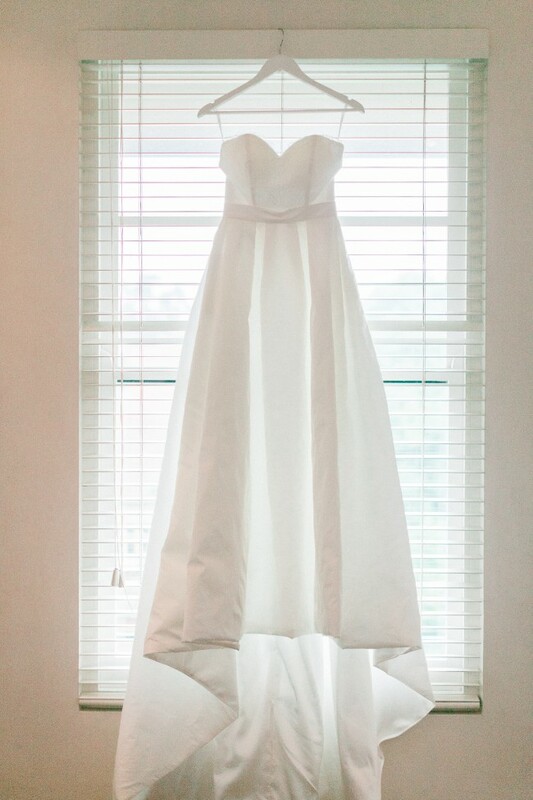 I absolutely love my dress but I sadly don't have any room to keep it living in a small apartment and I would love to see it wore on someone else's special day. Dress is well structured and can be worn without a bra, very secure and I didn't feel as though I was going to fall out of it or had to keep pulling it up. This dress was originally purchased for $4,500, been worn once. Happy to negotiate.